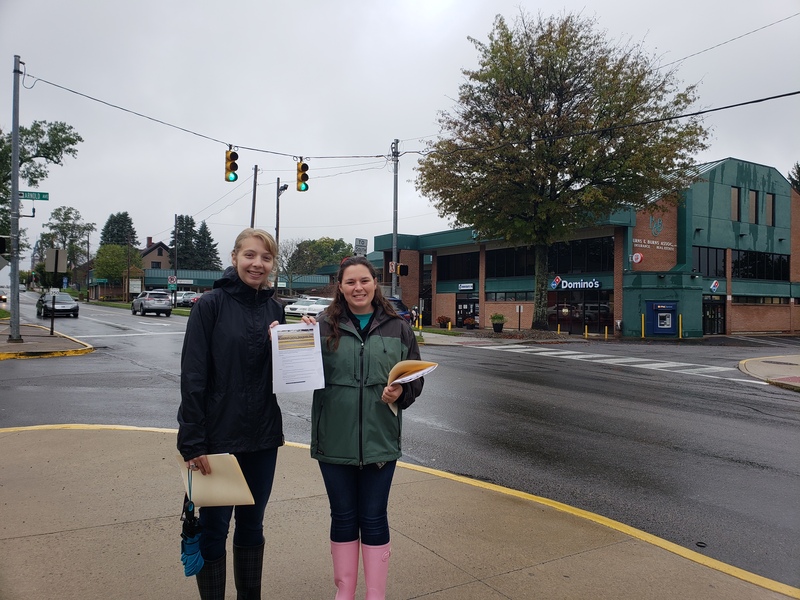 CLARION, Pa. (EYT) – Pedestrian safety remains an ongoing concern as our fast-paced age of cell phones and other common distractions create daily risks for those navigating the local area on foot. 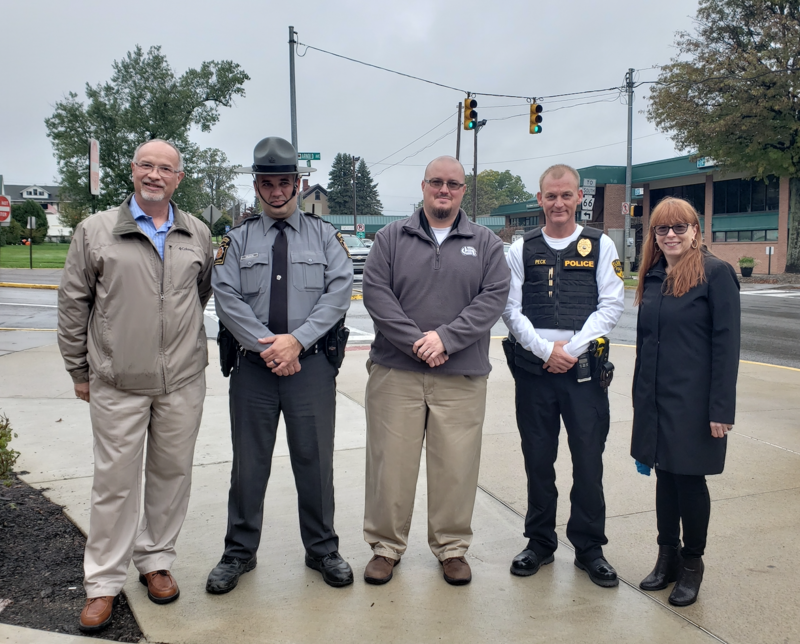 On Thursday, October 11, the Pennsylvania Department of Transportation (PennDOT); Clarion University’s Public Safety Office and Presidential Commission on Disabilities; Clarion Borough Police; and PA State Police officials met at the intersection of Main and Arnold Streets in front of Starbucks to highlight safe pedestrian access in Clarion Borough and to raise awareness of pedestrian safety in Clarion County. While no accident statistics were available, the intersection chosen for this semester’s event is known for a high volume of pedestrian activity, particularly university students. 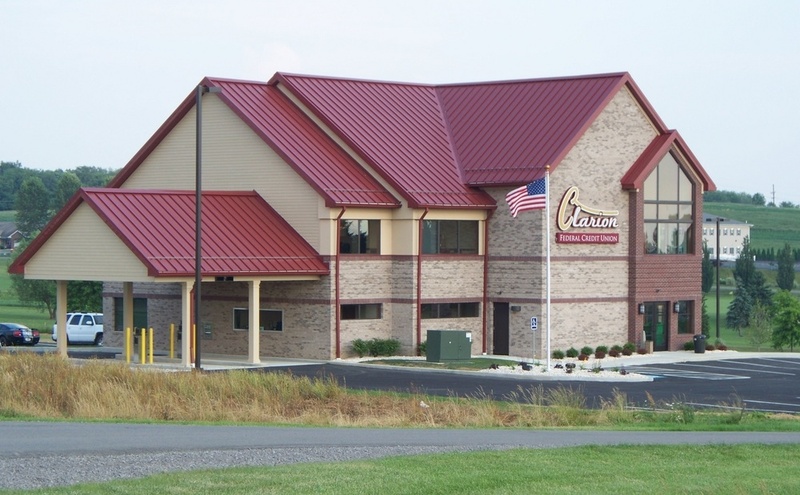 “We’ve got a really great partnership going on with Clarion University, Clarion Borough, Clarion State Police, the University Police, with the Borough Police, and the Presidential Commission on Disabilities. It’s a great community partnership where everyone is focused on one goal, and that is to promote pedestrian safety,” Deborah Casadei, District 10’s public information officer, told exploreClarion.com. This is the third year for the pedestrian safety event, which has been held twice per year each year. “It’s about the turnover because you get new students each year. We want to continually raise awareness. We want to continually educate, continually promote safe walking, safe driving, and pedestrian safety awareness,” Casadei noted. “We just like to raise awareness to the public to be careful of pedestrians crossing at the crosswalk, make sure that pedestrians are crossing at the crosswalks,” said Christina Hearst of the Clarion University Presidential Commission on Disabilities. Always cross at marked crosswalks. You forfeit your rights as a pedestrian if you cross elsewhere. Obey any pedestrian signals and look left-right-left to make sure the road is clear in both directions before crossing. If a vehicle approaches, make eye contact with the driver to be sure she/he sees you before you cross. Yield to pedestrians in crosswalks and intersections. Be alert for bicyclists and skateboarders whos approaches to the crosswalk may be much swifter than those of pedestrians.